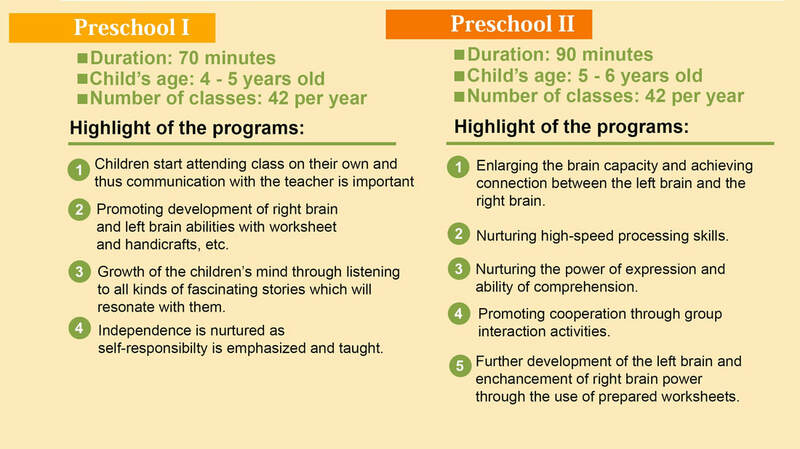 The Preschool programme starts to focus on Left brain development in collaboration of the right brain. 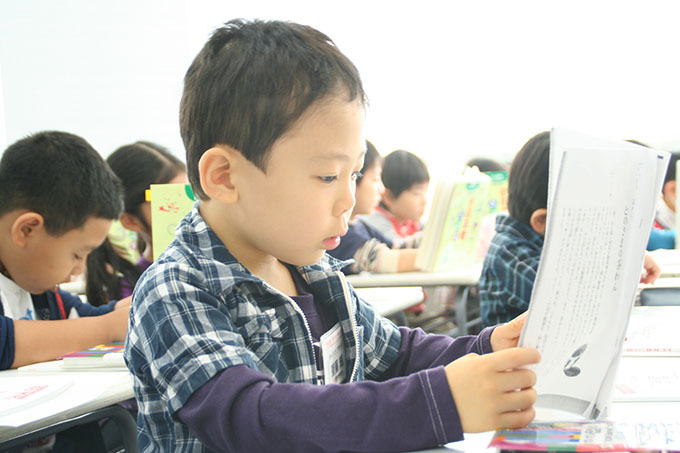 The objective of this programme is to connect the left and right sides of the brain and lay the foundation for advance levels of right brain development. Children will start attending class on their own. Independence is nurtured as self-responsibility is emphasized and taught.